"Hello Rabbit, is that you?" "Let's pretend it isn't", said Rabbit, "and see what happens." 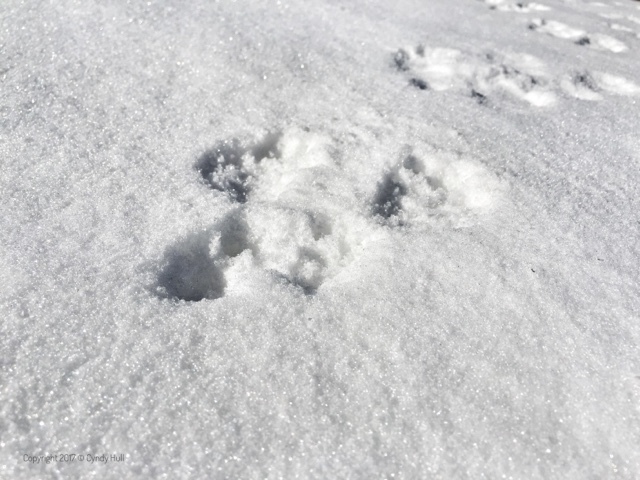 (At least I think these are rabbit tracks - of a very fluffy bunny. Think Thumper. Or Mopsy.